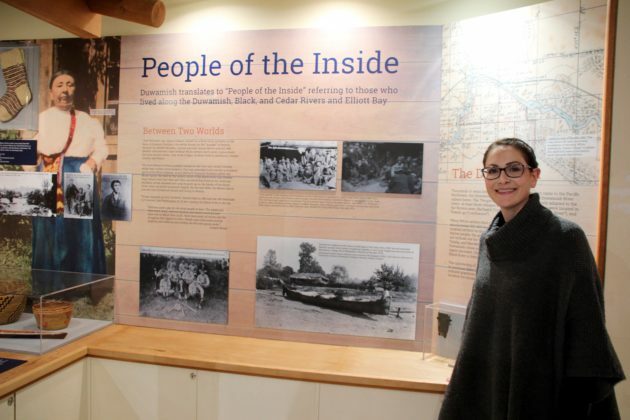 Renton History Museum is another small local spot covered this week. It resides in the Art Deco former fire station, built in 1942. Raised near Renton, I have early memories of visiting this museum with school. It has changed quite a lot since then. Their temporary exhibit is a project involving students at Renton High. Students were tasked with researching historic Renton families and comparing their experiences to that of their own family. It is a surprisingly large exhibit with a wide variety of responses. Not only is this a great example of outreach with the community, but it helps illustrate the modern diversity of Renton. Cases along the wall of the main gallery feature the Duwamish, Coal Mining, Pacific Car and Foundry, and Denny-Renton Clay and Coal. Each of these utilizes really great panel text and images to contextualize the material. I particularly appreciated the object labels, which included the RHM item numbers. This allows interested visitors to better access further information on the objects and related items. In the Coal Mining display, there is also a photo slide show with music softly playing. The music drifts throughout the gallery, which adds a bit of ambiance to the space. Before completing my tour of the main gallery, I stepped through to the small side gallery. “Sustaining a City” looks at the social and economic use of food in Renton. As a city built by immigrants, there is a lot of variety to the food items and practices in this community. Each display features a lovely vignette with objects, photos, and varying textures and colors. It helps to give defined space to each subject without taking up too much floor space. And they refrained from using mannequins, which is a wonderful decision! Too often mannequins quickly look dated and quite frankly creepy. Honestly, the vignettes didn’t need ‘people’ to make them look lived in. The museum did a really great job on them. Back in the main gallery, “Something Bigger, Something Better: They Feys Movie Theatre Empire” takes a look at the iconic theatres of Renton’s past. The impressive Roxy neon sign is turned on and lights up the space in splashes of blue and red. It seems a little lost in the flow of the gallery though. You move from industry on the right to home life on the left, with this little space on theatres. I wish there had been more about other recreational businesses in the area to contextualize it better. The tiny house is wonderfully done. It tells the stories of Modesta Delaurentis, Sarah Tonkin, Edmund Duss, and George Custer. 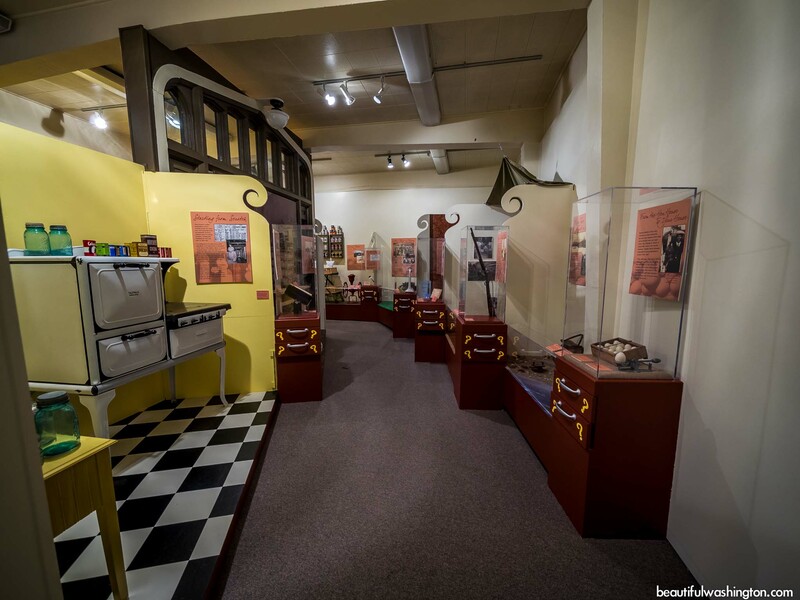 Objects from each of their lives adorn the space and help paint a diverse image of life in early Renton. While these individuals came from different places and life experiences, the house seems cohesive. It brings together varying stories in a great way. The museum chose to use few barriers, so it feels more homelike and less like a staged vignette and the details are fantastic. The final case is “The Boeing Renton Story” and uses mostly text and photos to tell the story of the local icon. There is an interactive flight simulator in the display, which was a little awkward to climb into. The controls weren’t registering with the program, so it didn’t actually work when I tried it out. A little disappointing, but I like the effort made to involve the visitor in the display. While this museum is small, it makes good use of its space. They get creative with dividing the gallery and using design to define parameters. What they do well, they do really well.